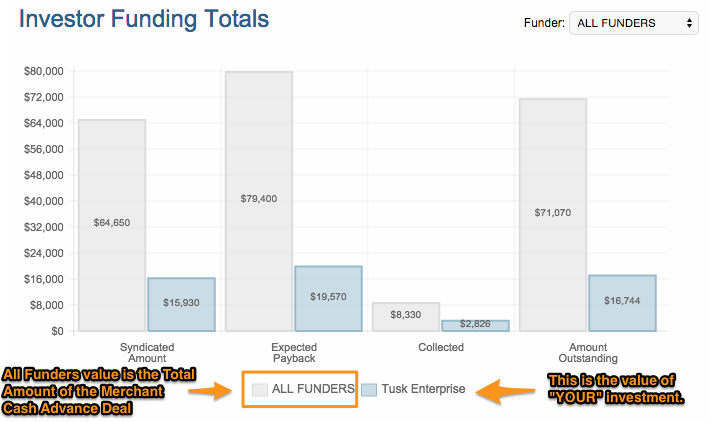 The Investor Funding Dashboard displays syndicated deals your company (hosting the MCA Suite instance) has participated in with other Funders. From example listed above, "you" (the owner of the MCA Suite instance) participated in a number of deals that value $64,650. Of the $64,650, you participated in $15,930. 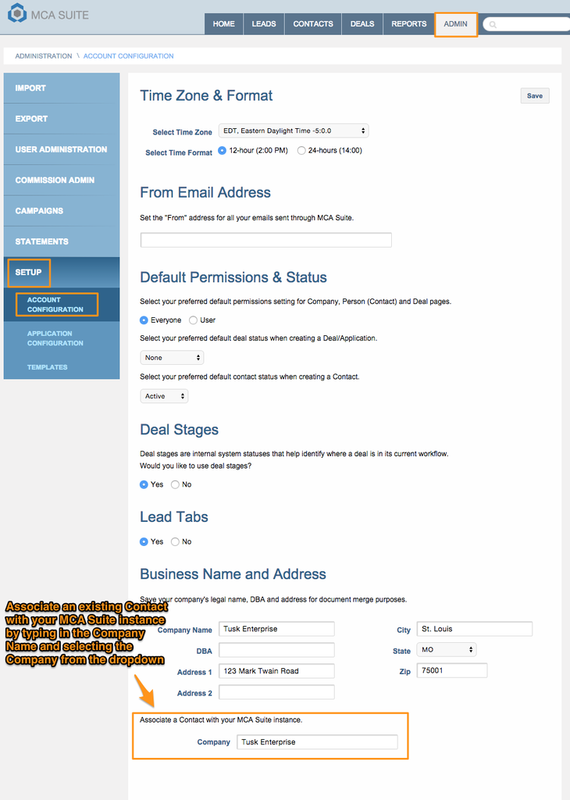 In order for the dashboard to separate the values of the total amount from "your" amount, you will need to create a contact that has an "Investor" Contact Type and define it during your MCA Suite setup process. If you have not done so, create a Contact (with a contact type = investor) in your MCA Suite instance and go to the ADMIN > SETUP > APPLICATION CONFIGURATION page to associate the contact with your MCA Suite instance (see instructions below). Once you have associated yourself (a contact) with your MCA Suite instance, the Investor Funding Dashboard will be able to differentiate each investor's investment. The Investor Funding dashboard also allows you to compare your investment against other Funder's investments. To view the comparison, click on the filter and select the Funder from the dropdown. 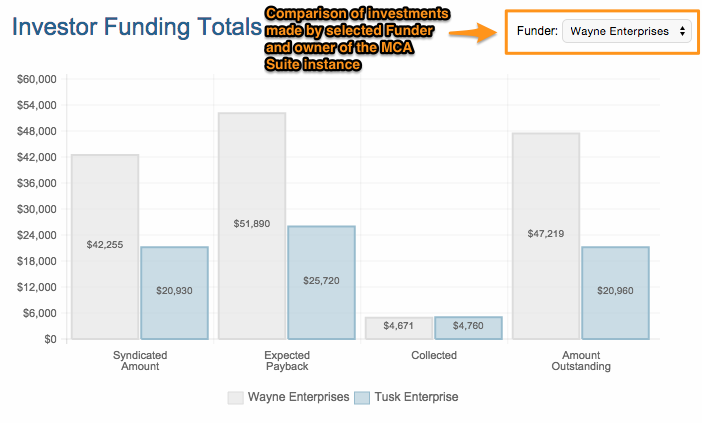 The above dashboard compares Wayne Enterprises investment against Tusk Enterprise.